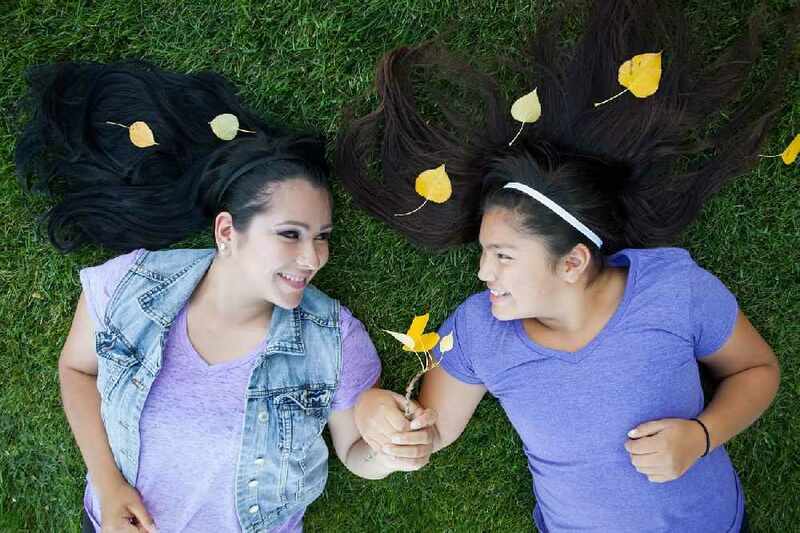 Alberta's Barbara Dumigan Jackson and her daughter Kiya Bruno will be the first Indigenous mother-daughter team to appear on “Just Like Mom and Dad”. The show was casting all over North America, so the pair decided to send in their resumes and head shots. “My daughter likes to audition for film and TV shows, and thought it would be fun to get the chance to be on the game show with her mother. So she's the one who put me up to it,” said Jackson, who is Plains Cree from Saddle Lake and Whitefish Lake First Nations. “Just Like Mom and Dad” airs every Sunday at 7 p.m. (EST) on YesTV, a channel committed to positive, family-friendly programming. The show is shot before a live studio audience and features three parent-kid pairs. They go through several rounds, including trivia where they try to answer questions about each other, and a bake-off. Bruno, who is from Maskwacis, remembers with laughter the making of their selfie video, which was the next step in the audition process. Following the video came a long interview and finally a Skype audition. There was supposed to be another final step in the audition process involving flying the duo to Toronto for an in-person meeting, but the casting team and director loved the pair's Skype audition so much they were selected. Jackson and Bruno film on July 30 at the CBC studios in downtown Toronto. “Being able to motivate and encourage other Indigenous people and youth to follow their heart and passions, chase their dreams, and make a positive change and impact in the world is so important to us,” said Jackson. Both Jackson and Bruno are no strangers to the spotlight. Among many things, Jackson is an artist, actor, activist, writer, traditional vocalist, and child and youth care worker who works with high-risk Indigenous youth. She received a Fearless Woman Award on March 10 at the Fearless Women Summit in Edmonton in the category of Helping Others. Bruno has been competing in beauty pageants throughout North America since the age of five and currently holds the title of “Miss Teen First Nation.” She recently returned from Montreal, Que. from filming in a new First Nations teen TV series for APTN that will air in the spring of 2019. Season Two of “Just Like Mom and Dad” will air in October of 2018.